The fact sheets in this package provide an overview of the crucial connections that link organic agriculture to farmers, their traditions, their resources, their communities and the global markets with their potential for export and trade. The fact sheets also provide insight into the many ways that organic agriculture contributes to rural livelihoods and sustainable use of natural resources. 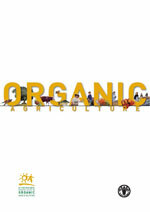 Organic agriculture: what is it?